In the Fittja residency apartment, we opened the windows to the neighborhood, inviting kids who were perhaps wisely wary of our offers of cookies. Eventually they again became accustomed to us and stopped by repeatedly to sample what we might have to offer and to practice their English. Some friends stopped by too, including Elmasz, who spent a few days teaching us how to cook manti, or Turkish dumplings. She quickly tossed together some unmeasured flour, eggs, and water, and kneaded it into grapefruit sized balls. She hand mixed ground lamb with tomato paste, pepper puree, chopped onions, parsley, and every imaginable type of paprika for the filling. Elmasz is very discreet and asked that we not photograph her face. But her powerful hands were where all the action was, as she swiftly rolled out the dough and pinched the ravioli into tiny packages. 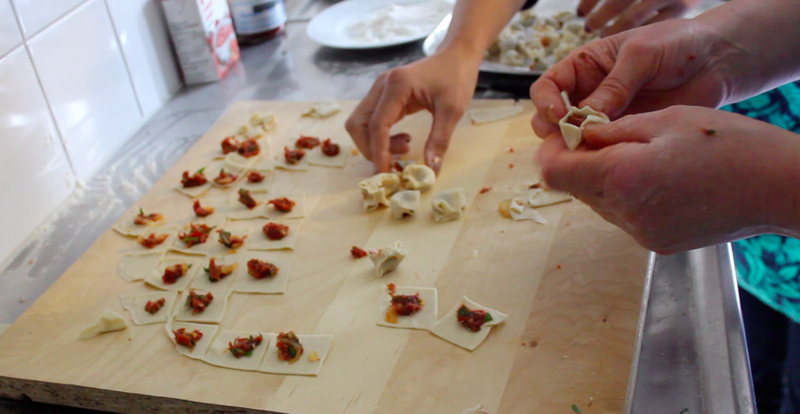 She was a breathtaking manti-making machine. When Amanda tried to step in and help out, I don’t know, but I’m pretty sure Elmasz said “step off girl, I got this.” She then efficiently suggested that we dolma the leftover filling — make it into cabbage rolls. So, first we mantied and then we dolmaed. 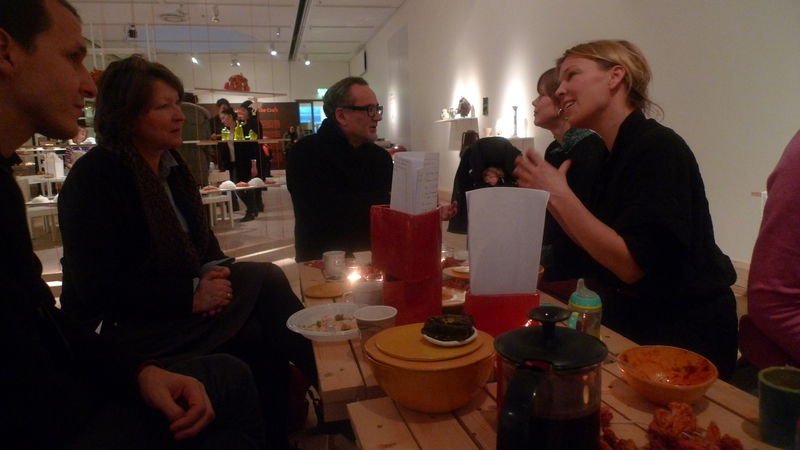 Besides the St. Lucia buns, the cooking days at Krogarvagen 26, and the many meetings with neighbors at the apartment in the snow in December 2012, the concept of the Takeaway Caffe was also to hold a brunch, offered at the Botkyrka Konsthall, on Sunday, December 16. For three hours, friends and neighbors from the Residence Fittja, Botkyrka Konsthall, and even a few of OPENrestaurant’s friends and collaborators from San Francisco now living in Stockholm (!) 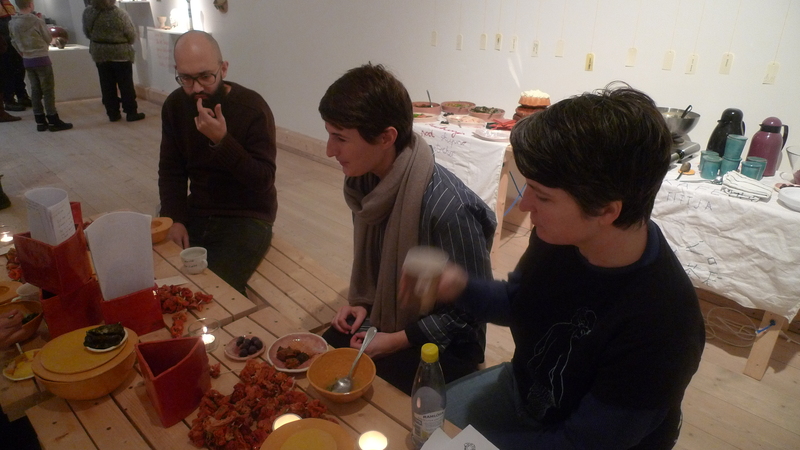 gathered in the gallery to share the food and recipes contributed by Fittja neighbors, and to contribute recipes of their own. Meanwhile a very special guest, who contributed much cooking and more expertise, brought her own work to the gallery along with the food we cooked together. 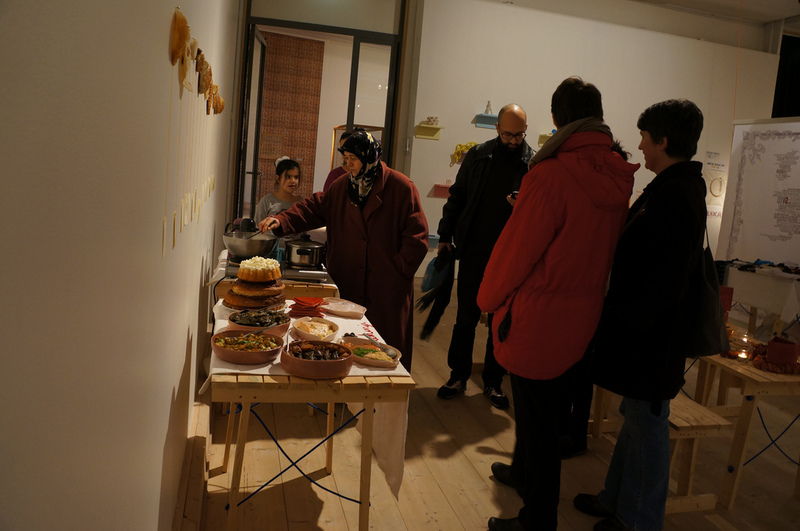 Elmasz brought her own handmade goods and other items for sale, and set up a table alongside the meal, to complete the conversation around the exhibition ‘State of the Craft’ at the Botkyrka Konsthall. Very kindly, Elmasz stayed the entire time and chatted with guests about both the food and the goods she had brought for sale. It offered us so much support and a feeling of closeness to Fittja to have Elmasz stay the entire day in Tumba for the day’s conversation and meal! Here is Elmasz in the back room of the gallery, serving some of the Persian-style dolmas into one of the warming platters we made. These ceramic takeaway dishes were made to warm up the dolmas, over a steamer or in a microwave, with a hole in the top of the lid (which fitted inside the dish, like the too-small pan lid Elmasz ruthlessly rummaged in the residence kitchen to find, for the pot where all of our dolmas were originally cooked). Begin with one jar of vine leaves. Pour boiling water over leaves in a large bowl, and ruffle the leaves to make sure that the water reaches each leaf. Soak for 20 minutes, and drain, then soak in cold water for 20 minutes. Drain and soak again in cold water; then drain and soak once more. Alternately, blanch fresh vine leaves in boiling water for several minutes until they are limp. Soak long-grain (basmati) rice in boiling water, then drain it, rinse it with cold water, and drain again. In a bowl, mix the rice with a chopped yellow onion or the whites of green onions, several chopped tomatoes, chopped parsley, dried mint (this can be an opened tea bag or dried fresh mint), a bit of cinnamon, allspice, chopped preserved lemon (optional), currants if preferred, salt, and pepper). In each vine leaf, place a tablespoon of filling at the base of the leaf, folding the sides of the leaf in first, and rolling tightly from the base to the top of the leaf. Pack leaves tightly in a flat-bottomed heavy pan (this may be lined with slices of tomatoes, or the vine leaves too torn to be used for stuffing). Peeled cloves of garlic may be laid in between the stuffed vine leaves. To cook, make a braising liquid of olive oil with an equal amount of water, with a pinch of ground saffron threads, the juice of a lemon, and a spoonful of sugar. 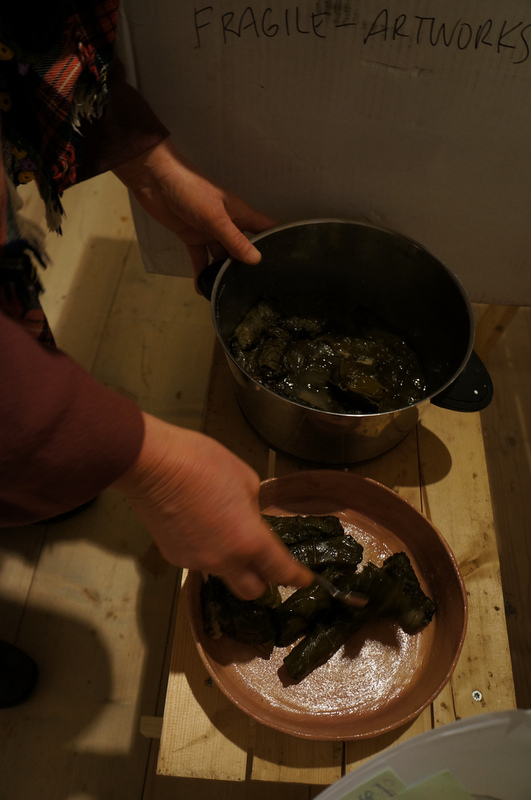 Pour this over the vine leaves in their pot, and fit the pot with a lid which is slightly small for the pot, and which can settle on top of the dolmas and keep them tightly wrapped, while allowing steam to escape or water to be replaced while cooking. Simmer gently for approximately 2 hours, adding water when necessary as the cooking liquid is absorbed. After 2 hours or more, cool the dolmas in their pan before turning out; serve cool. 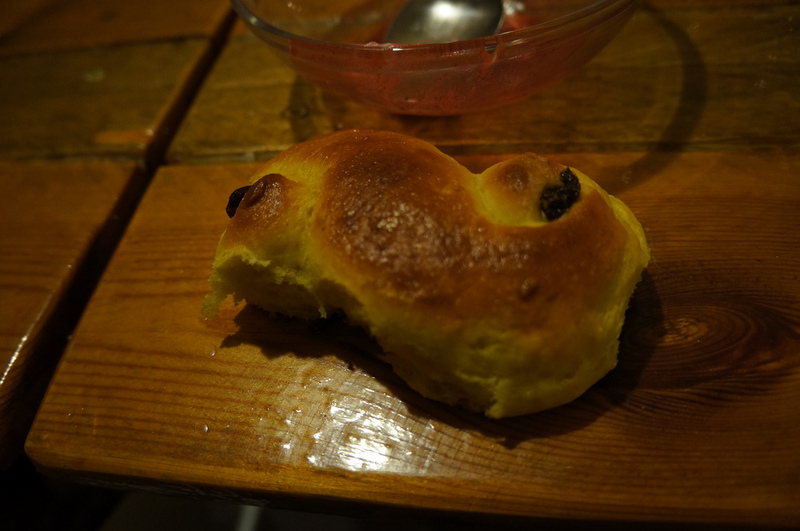 This recipe is based on one contributed by Luka, a photographer who lives in Fittja who is originally from Iran and who helped us immeasurably in talking with neighbors and transcribing recipes. 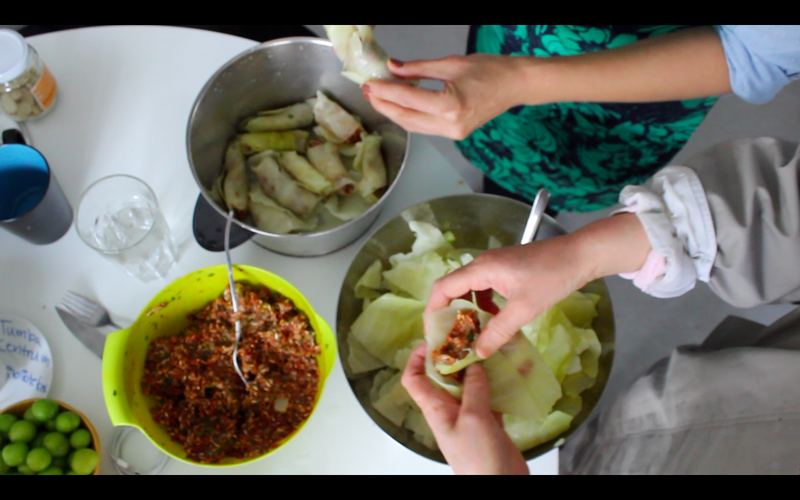 In response to Elmasz’s recipe, he helped us arrive at a recipe for the Persian kind of dolmas. Begin with dried peppers or dried eggplants; boil them in water for up to two hours to soften completely; then cool. Wash long-grain (basmati) rice in cold water, then drain. In a pan, saute diced yellow onion in oil with salt and pepper, then add an equal amount of ground lamb or beef and cook until just colored. Add one small can of tomato puree, or several diced tomatoes. Season with oregano, and if preferred, paprika and other spices, including cinnamon and allspice. Remove from heat and stir together with chopped parsley. Allow to cool. Stuff each pepper or eggplant with the mixture to about two-thirds full, and line a flat-bottomed heavy pot with the filled vegetables. Filled peppers and eggplants may also be alternated in layers, packed tightly together. Mix a little tomato paste with water and, if preferred, lemon juice to make a cooking liquid. Add this to the vegetables in the pot until the liquid comes almost to the top of the vegetables. Fit the pot with a lid small enough to sit on top of the vegetables and keep them packed together as they steam. Cook for approximately two hours, or until cooked thoroughly, adding water to the pot as it is absorbed by the vegetables and their filling. Once cooked, allow to cool slightly, but serve still warm. 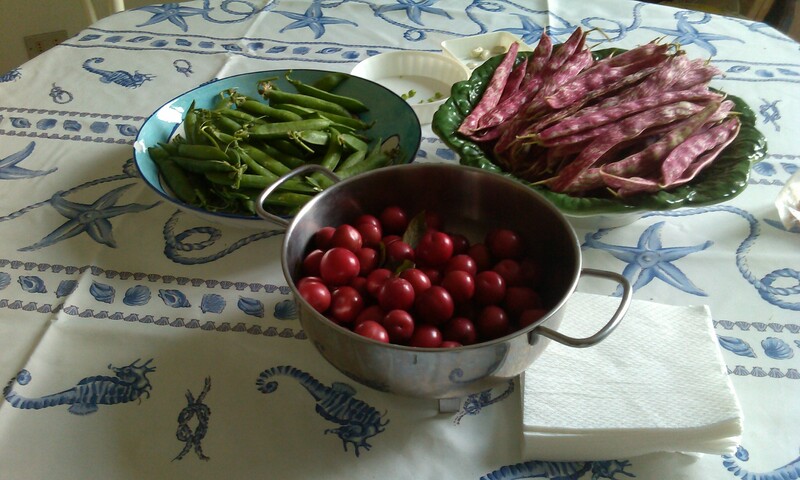 We have often eaten these vegetables at a meal where bulghur is also served; however, when Elmasz transcribed the recipe with Luka, she gave us just the recipe for the dolmas, and that is how we served them at the brunch. 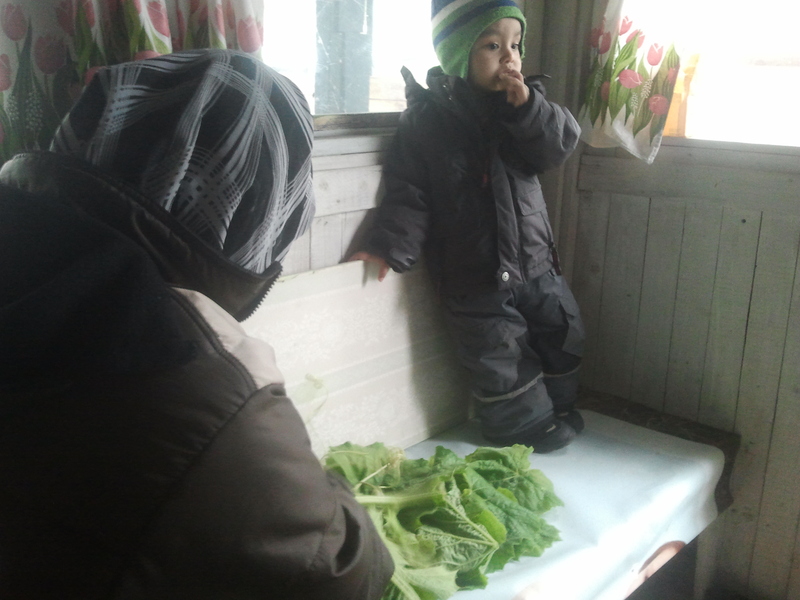 In the allotment gardens at Botkyrka Konsthall, we were repeatedly welcomed by Abulkalam, who has been farming in Fittja with his family since he moved here from Myanmar. His garden thrives, year after year, and he has been generous to us each time, giving us the smaller summer squashes that pile up in his garden shed along with a simple recipe for a delicious way to cook it. 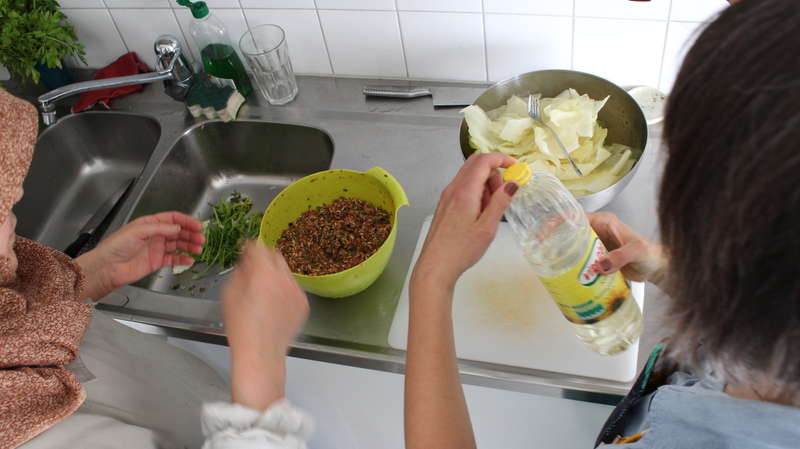 To cook the light-green summer squashes, cut them in cubes and saute them, along with minced garlic, on high heat in oil. When the squash is seared and the garlic is golden, add a sliced jalapeno chile, or a hotter one if you like. To serve, sprinkle with salt to taste and add the juice of a lime; mix and serve over rice. (Abulkalam’s wife was peeling the vines of the squash last time we visited, to cook them in oil in a similar way. To cook the vines, peel the tough, prickly outer fibers, then cook them Abulkalam’s wife’s way, in oil with garlic and chile. 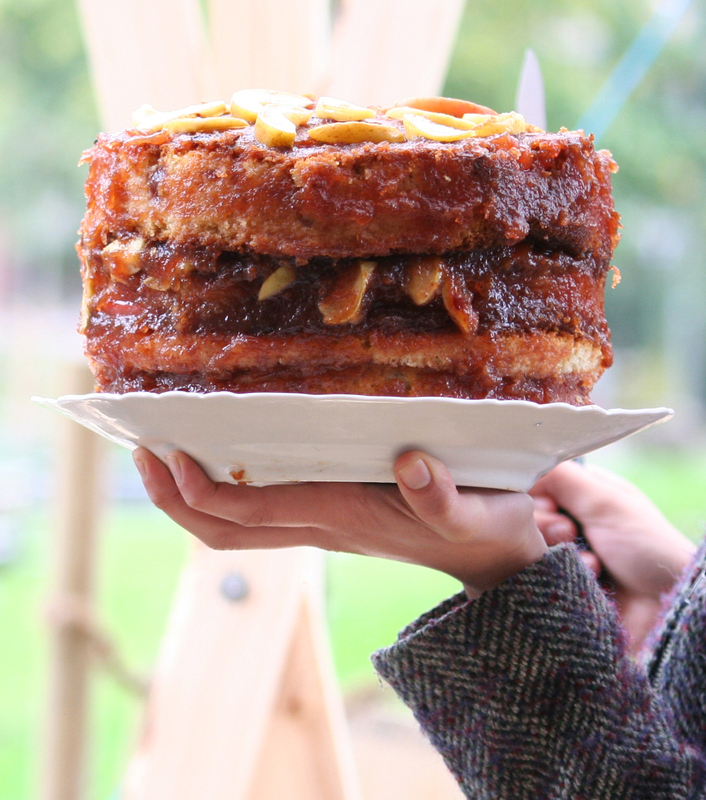 The photo above depicts the original stack cake, as constructed by Ariel Ruby, who joined us for the Common Roof Kitchen and Fittja Caffe in October 2012. Appalachian Stack Cake is a way that neighbors would build a wedding cake for a bride in the eastern Appalachian Mountains of the US, and Ariel always wanted to make a cake with neighbors in a community, working together. She now creates miniature worlds in pastry and marzipan as a chef in Los Angeles, but back then, she marshalled many cooks in Fittja to create one common, very tall cake. For this cake, we created the ceramic takeaway cake wedges displayed on the tables in the gallery, which many people used to take home cake — especially for young, young people who were too busy taking naps to attend the entire brunch. Use 1 cup butter, 1 cup milk, 2 cups sugar, 3 cups flour, 4 eggs, 1 tablespoon baking powder, 1/2 tablespoon salt. A flavoring such as vanilla, the zest of a lemon, spices, or almond may also be included. Butter and flour two cake pans; set the oven to 350 degrees. Sift the flour, baking powder, and salt in a small bowl; set aside. Beat the butter together with the sugar until fluffy; add the flavoring and the egg yolks, one at a time. Beginning and ending with the flour, alternate the addition of small parts flour and milk to the butter mixture. In a separate bowl, beat the egg whites until fluffy and soft (not dry) peaks form. Fold lightly into the cake batter and when incorporated fully, divide the batter between cake pans. Bake 30 to 35 minutes or until a cake tester inserted near the middle comes out clean. Cool on racks and invert when the cake begins to pull away from the sides of the pan. Harvest fall apples in a forage walk with friends and neighbors. Peel apples and slice into a large pot. Toss with lemon juice mixed with a little cold water while slicing to keep apples from browning. To each pound of apples, add one tablespoon apple cider vinegar and a half cup brown sugar. Cinnamon, allspice, cloves, salt, and lemon zest may be added to balance flavors. The traditional mixture includes, for every 4 pounds of apples, 32 oz. sugar, 10 mL cinnamon, 5 mL allspice, 5mL cloves, a generous pinch of salt, and the zest of one lemon. Cook slowly, for up to four hours or more, stirring frequently and adding water as necessary to keep from burning while allowing apples and sugar to caramelize gently from time to time. Place a glass or metal bowl in the freezer ahead of time, and take one pint of cream from the refrigerator very quickly so that all is as cold as possible to whip the cream. Beat with a wire whisk until cream begins to thicken; sweeten with maple syrup or sugar to taste. Place each layer on cake plate, and with a sharp, serrated knife, trim cake horizontally so that each layer is flat. Thicker layers may be cut into two. On the top surface of each layer, spread a generous amount of warm apple butter. Place the next layer on top and repeat until the last layer. For this layer, add whipped cream so that it stands in peaks on the top of the cake. If you wish to frost the sides of the cake, make sure there is enough chilled cream to frost in two layers: add a ‘crumb layer’ to the sides of the cake, allowing for the cake to change and crumble as you work your way around. Chill the entire cake, and then repeat with another layer of whipped cream on the sides and, if necessary, top of the cake. 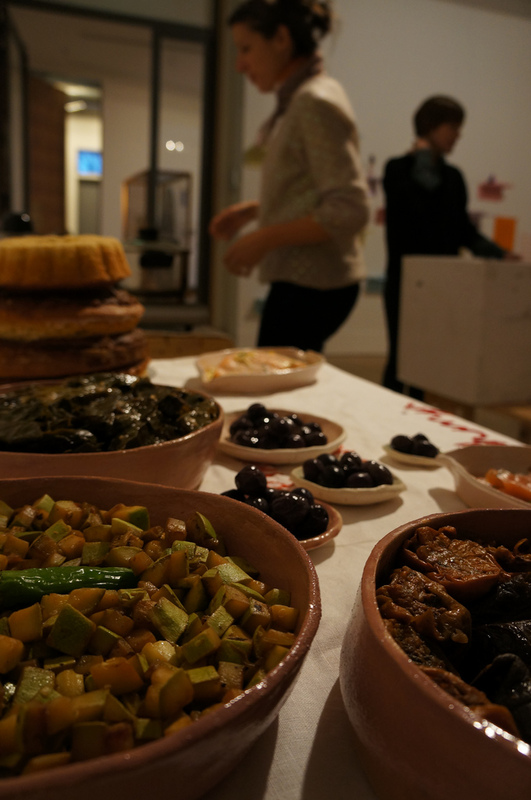 We got to cook with Kubra and Cevda later on, and to top off the holiday, Phil Hession gave an artist talk and performance event at the Fittja youth center which turned into an impromptu open mic and dance party. 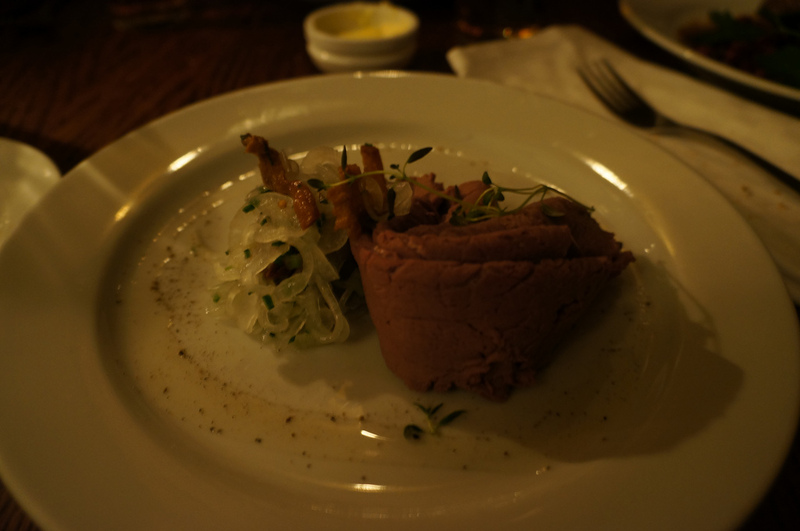 The night ended at the Pelikan with traditional Swedish Christmas fare and a long slow farewell to Phil and his amazing project. What a treat. 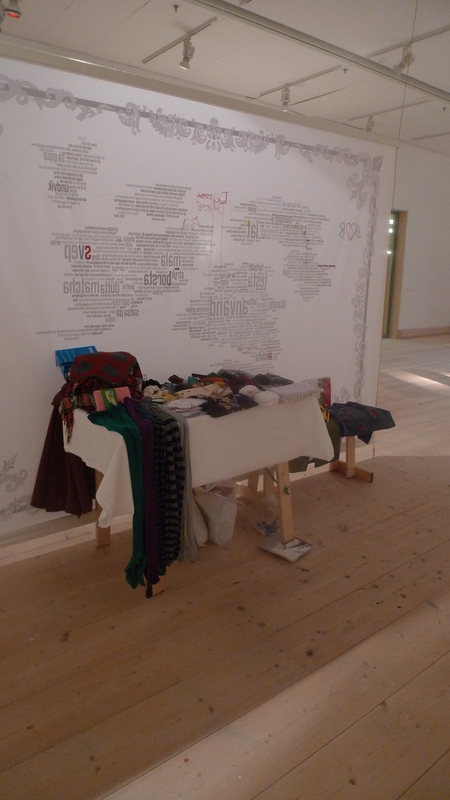 Thank you everyone – Cevda, Kubra, Phil, and everyone at Botkyrka Konsthall – for a really warm St. Lucia’s Day. 6.5 cups of flour; 1 cake or 4.5 tsp of active dry yeast; 1 tsp salt; 1 cup fresh milk; 3/4 cup sugar; 1 cup melted butter; 1 tsp saffron threads pounded to a powder and mixed with 2 Tbs vodka; 2 eggs beaten together plus one egg white for glazing; raisins. Melt 1 cup butter and add 1 cup milk with 3/4 cup sugar and 1 tsp salt. Stir to combine and heat through. Cool mixture to skin temperature in a large mixing bowl and break up or stir in yeast. After 5-10 minutes add 6.5 cups of flour gradually, in alternation with 2 beaten eggs and the saffron dissolved in vodka. 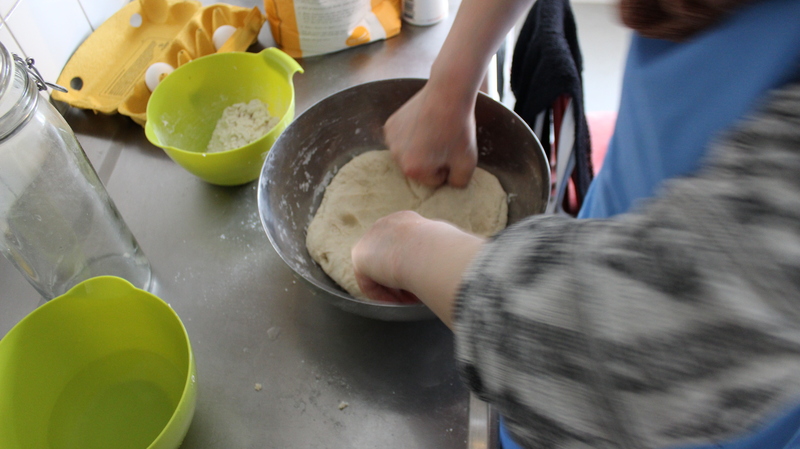 Once mixture comes together in a soft dough, stir or knead well to combine and develop the dough. Allow to rise for 1-1.5 hours, then deflate and knead several times on a floured surface. 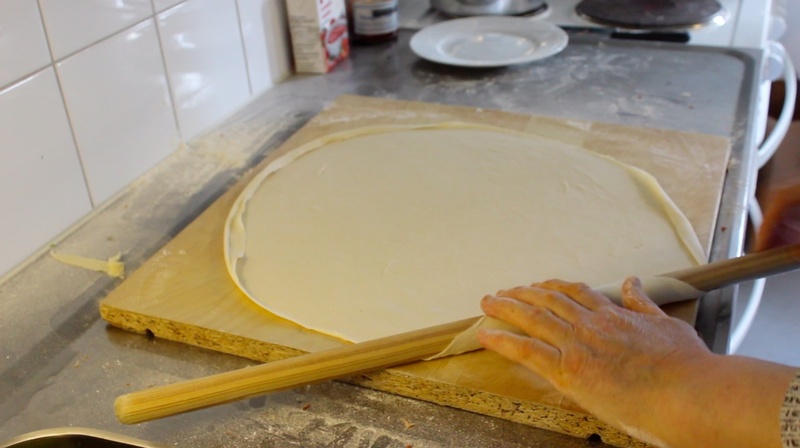 The dough should be smooth, soft, and elastic. 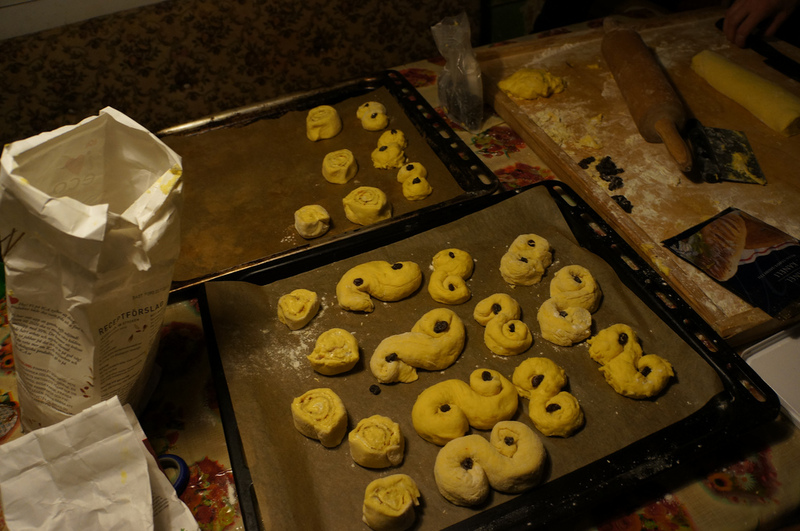 Divide dough into small handsful and roll to make snakes; then curl top end toward left and bottom end toward right to form a backward S. Decorate with raisins at either end of the curl and allow to rise again, covered, for an hour. Meanwhile, warm oven to 375, and when rolls have doubled in size, brush them with egg whites and bake for approximately 15 minutes, or until golden.